Despite strong signs of recovery, the level of housing activity remains near historic lows, according to the February housing outlook by Freddie Mac. Reports of low home prices, low mortgage rates and modestly rising income indicate that there is room for sustainable growth in the year ahead. Additionally, residential-fixed investment made positive contributions to GDP growth for the first time since 2005, adding 0.4% to growth in the fourth quarter. “The macroeconomic recovery though 2011 helped to forestall further erosion in the depressed housing market. In return, housing is now ‘showing some love’ by contributing to economic growth, perhaps by adding close to 0.5 percentage points to 2013 GDP growth,” vice president and chief economist Frank Nothaft of Freddie Mac said. Housing starts in 2013 are projected to increase to 950,000 units, a 22% increase from 2012. 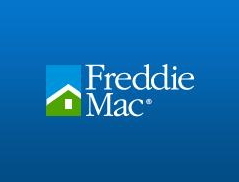 Looking even further ahead, Freddie Mac economists are forecasting another 26% in annual starts in 2013, bringing the total to about 1.2 million. As incomes continue to pick up, so will home prices. The housing price recovery should have a direct effect on sales, as homeowners who have been forced to wait are now able to get back into the market. After stealing the spotlight for several months, it seems like the California recovery is plateauing at normal levels, according to recent data reported by HousingWire. The month of January showed a 27.4% drop in sales from the month before, down from 39,760 to 28,871. Last month’s sales were still 2.7% above the numbers from a year earlier. It is normal for sales to drop from December to January. However, January’s sales were 8.7% below the average of 31,607 sales for all months of January since 1988. The median price paid for a California home dropped also, down 3% from $299,000 in December to $290,000. Of the total number of homes sold in January, 18.7% were foreclosed on over the past year. This number is up from December when 15.8% of homes sold were foreclosures.